[by Ma Chae-Rim] Hong Kong is famous for various festivals around the year. As Hong Kong has many attractions in downtown, it is always filled with a lot of people. In August, what are the foods and the places which you can enjoy in Hong Kong? 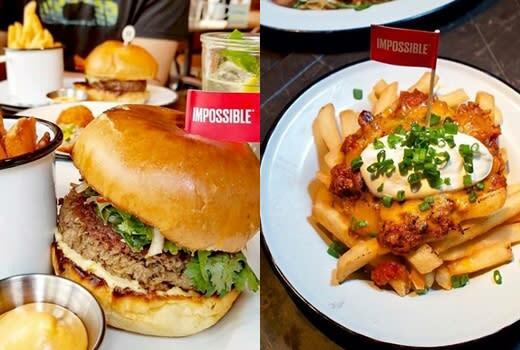 I would like to introduce you the popular restaurants by main spot. In Hong Kong, the average low temperature is 27℃ and the average high temperature is 31℃ during August, showing the hot summer weather. The difference in temperature between highs and lows is 4.5℃ in average with the average precipitation of 432mm and the average days of precipitation of 16.9 days, thus showing the frequent rain. In addition, the weather is very humid that people tend to feel very hot. However, as it has usually the clear sky, you can enjoy happy travel as long as it does not rain. 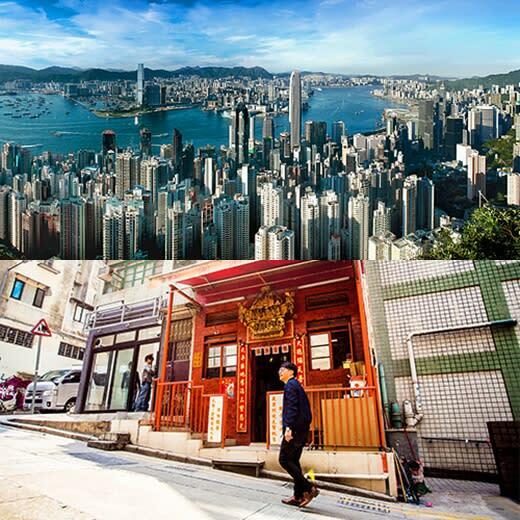 So, when you plan to travel Hong Kong, make sure to take it into consideration. First of all, you should prepare the sufficient clothes to change the wet clothes as they may get wet. At this time, several clothes having good ventilation and being light weight are recommended. In addition, if you keep the thin raincoat or waterproof bag, you would not be confused in the event of abrupt rain. Tsim Sha Tsui – It is a cape on the tip of the Kowloon Peninsula pointing towards Victoria Harbor and is one of the most crowded downtown areas. It has the Nathan Road crossing its central area in the direction of north and south. It has Canton Road in the west, and Chattom Road South in the east. In the direction of Nathan Road, there are high class hotels, shopping center, restaurant, small stores and kiosk, beautiful neon signs and other attractions. 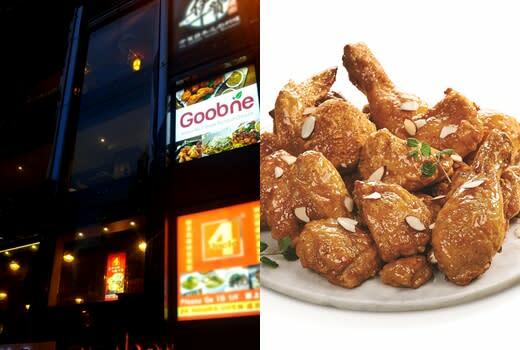 Goobne Chicken Hong Kong Tsim Sha Tsui Store: Goobne Chicken located in Tsim Sha Tsui, Hong Kong is Korea’s No. 1 oven chicken brand. Its products are characterized by not frying the chicken in the oil but grilling the chicken in an oven. As it is located in the most crowned downtown area in Hong Kong, not only Hong Kong local residents but also a lot of foreign travelers stop by. The most popular menu is “Honey Curry Basasak Chicken” which has the taste of honey in addition to the sweet and exotic taste of curry. It has the excellent taste. Soho: The Central in Hong Kong is the downtown area located in the northwestern part of Hong Kong Island, which is the special administrative area of China. There are not only Hong Kong City Hall but also the headquarters of the world class banks, and IFC building which is the tallest building in Hong Kong in this area so that this area is called the heart of Hong Kong. Soho is located in Jungwang, and is just across Sungwan. It is known as a good place for shopping. There are many shopping malls and small sized shops. 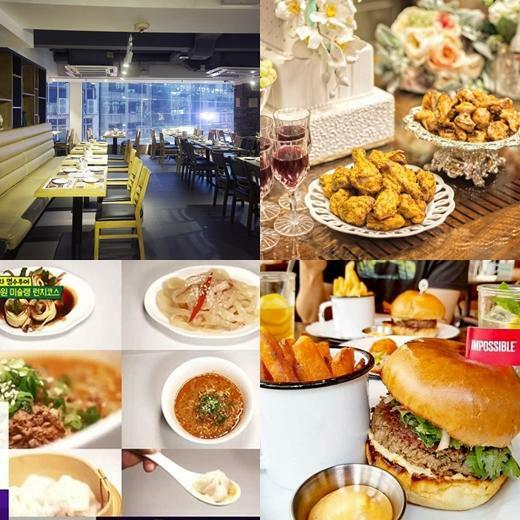 Monogamous: It is a Chinese style restaurant located in Soho, Central, Hong Kong, where you can enjoy the lunch course at a reasonable price. As it is famous for good taste restaurant, you had better visit early in the meal time or make a reservation prior to visit. As it has many pictures and portraits, you can feel the Hong Kong here. It is famous for Sichuan noodle and Wun-Tun. Stanley - It is the beach town where you can get the feel of resort. Like Repulse Bay, it is one of the best resort towns in southern Hong Kong. You can easily spot the foreigners who enjoy the swimming and beers. As there are so many foreigners, you may feel the exotic feel as if you visited a resort area located in European country. If you visit here, you may visit Stanley Market which is constructed along the Stanley Main Street. As it has 150 or more small shops, you can purchase various kinds of products such as traditional clothes, accessories or souvenirs.